KIEV, Ukraine -- Ukrainian media are reporting that a court has overturned a decree posthumously awarding the nation's highest award to a nationalist leader whose insurgent army supported Nazi Germany for part of World War II. Ukrainian television stations say the Donetsk regional court ruled Friday that former President Viktor Yushchenko's decree bestowing the Hero of Ukraine award on Stepan Bandera was illegal. 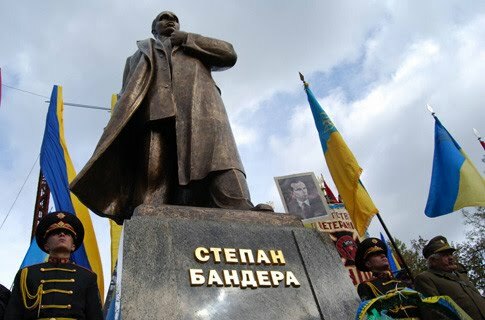 Bandera was a leader of Ukraine's nationalist movement, which included an insurgent army that for one period sided with the Nazis. Yushchenko issued the decree weeks before his term ended in February. Yushchenko called Bandera patriot, but the Simon Wiesenthal Center, a leading Jewish rights group, said Bandera's followers were linked to the deaths of thousands of Jews.